I’ve been busy working on projects for the two classes I’m finishing this week. I also have my last and final chance to win a soccer game on Sunday. With three days’ worth of commitments ending at the same time, I fear what I’m going to do with my time. 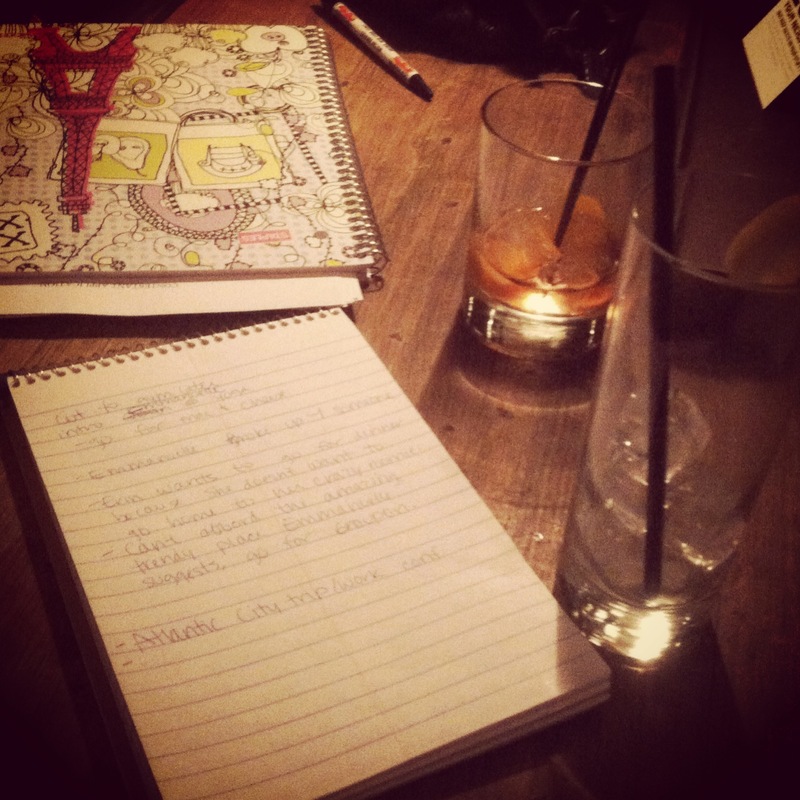 Writing session at Ace Hotel. If I have an assignment due, but I work Saturday and have soccer Sunday, I need to do my project on Tuesday or Wednesday as well. Here are some ways I’ve brainstormed to keep myself busy. Make gluten-free recipes instead of eating hummus for dinner. Wait for the Book of Mormon lottery. Read the book Pam recommended to me. In fact, work my library card, in general. Join a paddleboarding group and/or train for a race. Write for a cause on a volunteer basis. Try my luck at trivia night. Stare at photos of my niece. Whine about how hot it is in my apartment. Find the toys Gatito lost. Pester my friends with word game requests.